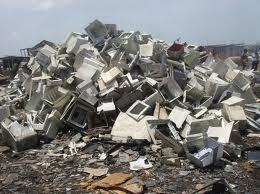 With the amount of electronics most people have in their homes, it is important to know about e-waste. When I look around my home I see several televisions, DVD player, computers, printer, cell phones, gaming systems, clock radio, surge protectors, external hard drive, cordless phone, microwave, digital cameras, etc. Most people know that electronic waste is bad for the environment, but what happens to our old computers, cell phones and televisions when they are recycled? Unlike aluminum cans made of just one material, electronic devices are constructed with many different materials, so recycling e-waste is a more complex process. The most important reason to recycle e-waste is to keep these devices from landfills, but the devices can also be used to save costs in manufacturing other materials. – Small amounts of copper and gold will be sold and then reused in alternative capacities. – Materials can be used to manufacture other products such as lighters or wood composites. – plastic housing is ground into smaller pieces and used as retaining blocks and pothole mix. – Circuit boards and chips can be reused to repair or upgrade older electronics or recycled for scrap value. Electronics also contain lower levels of mercury, arsenic, cadmium, beryllium and other toxic chemicals. 300 million computers and one billion cell phones are produced every year, with each having an average lifespan of three to five years. E-waste accounts for approximately 4 percent of the total amount of trash, but it contributes about 40 percent of the lead content in landfills. Make sure when you are upgrading your electronic devices you look for a local e-waste center to recycle your old devices. Approximately 242 million tires are discarded annually in the United States. Some of these tires will be stock piled and illegally disposed of ending up in our landfills. 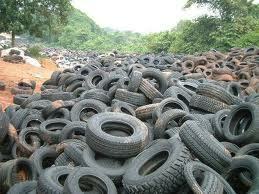 Tires can be recycled many different ways, makin fuel and saving our landfills, roads, children, etc. I was surprised at the different ways tires are recycled at my local recycle station. They are first sent to a tire dismantler to remove the rims from the wheels. Tires that can be rethreated and reused are. 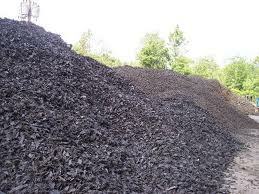 The remaining scrap tires are sent to a facility for shredding. A large magnet called a crum will pass over the tire scraps to remove any left over steel. 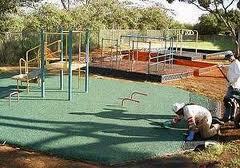 Some of the remaining rubber is then ground again, colored and used to cover playgrounds and horse arenas. 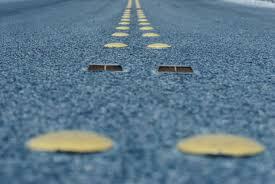 Another common use for the recycled rubber is to combine it with asphalt to make roads. Over the past years, California has used over 10 million waste tires in Rubberized Asphalt Concrete (RAC) paving projects. Tires cannot just be thrown in the garbage, and your local dump will most likely charge for your tire trash. When you purchase new tires, make sure you ask if they will dispose of your old tires for you. This will save you money and ensure the tires will end up in the proper recycle facility. Your never to young to recycle, and it’s important to educate our children and explain to them that the earth is their home and we have to do what we can to take care of it and respect it. Use examples like: writing paper, paper plates, and paper bags are made from trees. Let them know that when we recycle paper products, they can be reused and a tree is saved. reduce: this means cutting back on the amount of waste used in everyday life. For example, reduce waste by teaching kids to use canvas bags at the grocery store instead of plastic bags, don’t waste water, etc. reuse: reuse an existing item in your household in order to minimize waste. For example, reuse gift bags to cut down on paper waste or decorate cans or jars with stickers or glitter to create a unique pencil holder. First teach the kids what items can be re-used at home for notes, crafts, etc and which items are trash. 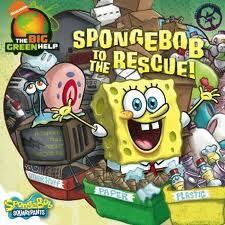 Then show your kids how waste needs to be sorted to be properly recycled. Have separate bins for plastic, plastic, glass, paper products, etc. Most kids will love to be in charge of recycling at home. Have them make signs for the garbage cans that designate what goes where. Let them monitor everyone’s recycling habits. Teach by example. Make sure you practice what you preach and that you do all you can to set a good example for the kids. After the cans, bottles, etc are collected, take your kids to the recycling center to exchange them for money. Money is a great motivator and they will also be proud they are doing good for the environment. Organize a nature walk through the neighborhood or park and help your kids collect recyclable litter to help clean around your home. Donating unused items instead of disposing of them is a great way to recycle and help others at the same time. It is important to start simple and fun. This is part 1 of an ongoing series providing information, tools, tips, facts, secrets, ideas, and more. I will cover the different ways we can do more to recycle in our homes and offices, where our garbage goes, the recycling process, different ways we can all go green, how recycling helps, and much, much more. 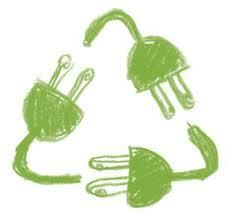 Recycling is the process of turning one products useful parts into a new product. It is true that recycling reduces the need for landfills, but it does much more than that. 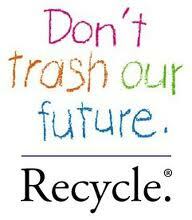 By recycling, you are conserving natural resources like trees, metal, minerals, oil, water, etc. This also reduces the amount of pollution and greenhouse gases released into the environment and conserves energy. The average American uses about the equivalent of one 100-foot-tall Douglas fir-tree in paper and wood products each year. Recycling a four-foot stack of newspapers saves the equivalent of one 40-foot fir-tree. If only 100,000 people stopped their junk mail, we could save up to 150,000 trees annually. Making paper from recycled material uses 60% less energy than making virgin paper. The average American throws out about 61 lbs of tin cans every month. An aluminum can recycled today will be back on the grocery shelf in about 60 days. The average American uses approximately 1 billion shopping bags, creating 300,000 tons of landfill waste. In a lifetime, the average American will throw away 600 times his/her adult weight in garbage. Motor oil never wears out; it just gets dirty. Oil can be recycled, re-refined and used again, reducing our reliance on imported oil. A full bath tub requires about 70 gallons of water, while taking a five-minute shower uses only 10-25 gallons of water. A microwave oven uses about 50 percent less energy than a conventional oven. An estimated 80 million Hershey’s Kisses are wrapped each day, using enough aluminum foil to cover over 50 acres of space. Most of that foil goes into the trash. A typical family consumes 182 gallons of soda, 29 gallons of juice, 104 gallons of milk, and 26 gallons of bottled water a year. Most of these containers end up in landfills.